Griego Custom mouthpieces are incredibly well made to a high specification. Careful consideration has been given to the balance between cup, throat and backbore which helps give the player an even response right across the range. This model for Tenor Trombone is the same as supplied with the Getzen Custom 3047AF Tenor Trombone. It plays with an even consistency throughout the range of the trombone The outer shape is the flexible "CS" model. 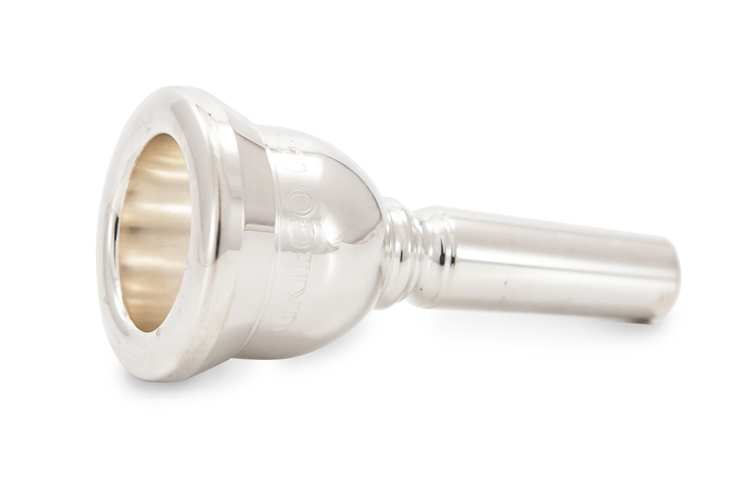 Very nice middle-size trombone mouthpiece - truly as descripted in a Griego website! Well centered and balanced sound. For more dark sound I will tray some Griego Allesi 5c or 5d mouthpiece.